The day that the Pumpkin Spice Latte becomes available at Starbucks should probably be a holiday because it definitely feels like one. However, spending 5 bucks on a coffee can start to be a little draining on the pocket. So, I really wanted to try my hand at making one myself. I figured it had to be healthier than getting the few pumps of pumpkin flavored sugar. And CHEAPER. It actually came out pretty well! 1. In a small sauce pan, heat up the sugar, pumpkin puree, vanilla, cinnamon, ginger and nutmeg until well mixed. Add in the almond milk and espresso. 2. After the mix is warm, pour into 2 mugs and ENJOY! Top with some whipped cream or steamed milk. This definitely plays up the natural flavor of the pumpkin, which I love. It doesn’t taste as manufactured as the Starbucks version. I hope you give it a try and enjoy it! 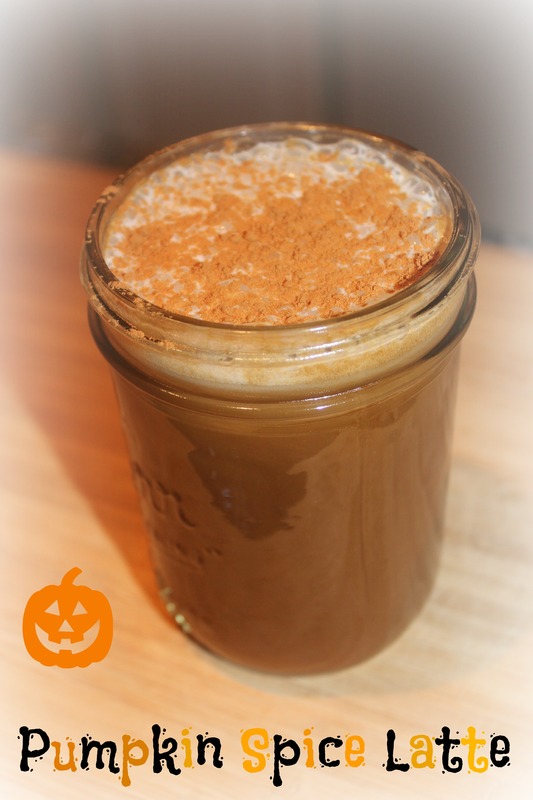 This entry was posted in Breakfast and tagged latte, PSL, Pumpkin, pumpkin puree, Pumpkin Spice Latte, Recipe, spice, Starbuck's on October 23, 2014 by Sizzle Food.